Valentine's Day is coming and Versupack would like to offer a package in the form of the heart made of CPET material. 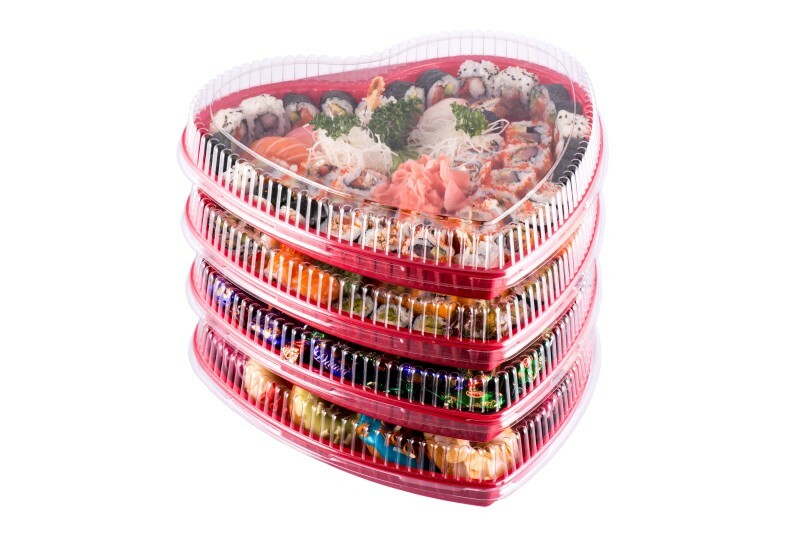 It is suitable for baking pies and cakes at temperatures up to 200 C. If you have a Japanese restaurant, the container in the form of the heart is perfect for delivering your sushi sets, which can have romantic names. Our containers also give the opportunity to please your customers with cheesecake, tiramisu, now popular cookies "Macaron" and many other delicacies! Packaging in the form of the heart can be originally used as a tray for chocolates or as a gift box. Tough and transparent cover, in turn, provide you with secure transportation and storage of the goods! Correctly chosen packaging will make its content more attractive in the eyes of the buyer. In a decent package your products can be a real bestseller! Paper containers with an attractive design!